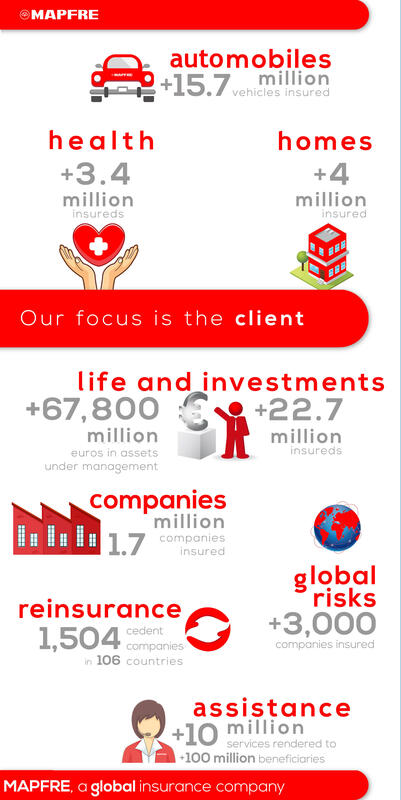 At the heart of our operations are the more than 37 million clients who place their trust in us. We insure people: protecting their goods and managing their savings. We create valuable connections with them, and we offer them trust, as we do to our shareholders, employees, and collaborators. For our clients we develop attractive products. Supported by our brand reputation and socially responsible activity, we aim to gain their trust in the medium- and long-term. We are the benchmark insurer in the Spanish insurance market, the leading multinational insurance group in Latin America (and number 1 in the Non-Life ranking for the region). We are one of the 10 largest insurers in Europe by premium volume (among the top five in Non-Life), and among the 20 largest automobile insurance companies in the United States.